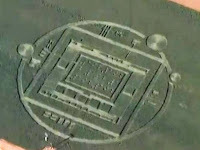 A mysterious crop circle was found in the Salinas Valley of California on December 30, 2013. The circle was reported by two friends who claimed on YouTube to have witnessed two bursts of light before dawn on Sunday morning. The crop circle above the town Salinas was filmed by aerial photographer Julie Belanger. This one is important. More so than the majority. My gut tells me to pay attention to the dots in the center block area. I love it when mainstream media news people tell us that The Common consensus among the scientific community is that they are man made. First, Main stream science community do NOT take the time to research this or comment on it. They are not paid to, and will not offer opinions which can later be refuted. They literally wont touch it in most cases and they Sure wont go on record as to comment about it. 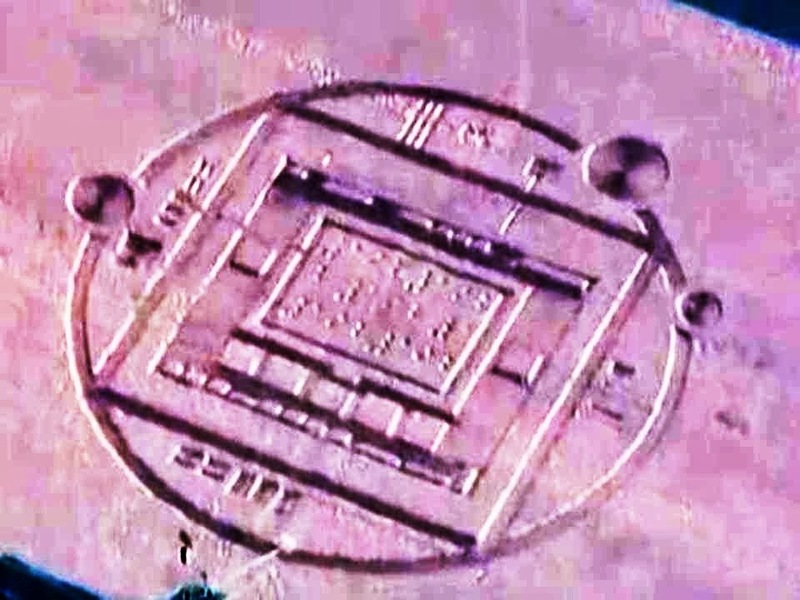 Special researchers, KNOW a real crop circle from the crappy man made variety pretty much on sight, but can confirm it with a closer look at the actual site within minutes. Its not difficult to divine. Thus, comments such as these news monkeys made are Invalid and have little or no sources. Dontcha Love mainstream media bull crap? At casual glance this one appears pretty authentic. I would not write it in stone my self till I could take readings or look at the layering, and the bend nodes of the stalks. I wish I had the ability to read them. Or the surfacing memory. Imma go watch Mystery men now. lol. I think it has to do with (in theory only) with Eve or (possibly) the Divine Mother ie Ishtar, as one News site stated it was a braille code of 192, which in Kabbalic Numerology is the number of Eve Life and of Fate, however one site stated it also had to do with the divine mother as well. Very interesting. This thing is less than an hour away from where I'm at. It looks like a computer chip of some kind. Thanks for this story. I have never known these to manifest in California.. I hope to see it myself. Navstar 59, also known as USA 192, as GPS 2RM F-3, and as GPS 2R-16, is an American navigational satellite in the GPS fleet that was launched by a Delta 2 rocket from Cape Canaveral at 19:12 UT on 17 November 2006. The two tonne (with fuel) satellite will be nudged into Plane B, Slot 4 position to replace the aging GPS 2A-22 of 1993 vintage. The fleet now consists of 29 satellites, including the spares. Navstar 59 has a new civilian signal that helps remove the directional inaccuracy engendered by the ionosphere. I wonder what that satellite is REALLY going to be used for? I doubt our circle making friends went thru all the trouble to tell us about a GPS satellite.